Bands, just like other artists in the entertainment industry, come and go. In order to remain in the limelight, bands need to develop their aesthetics, protect and improve their image, produce amazing songs and music videos, constantly reinvent themselves, improve their music, stay professional, create good connections with people in the industry, appreciate their fans, and to be more successful, branch out in merchandising. One of the best merchandising ideas for bands to consider is selling clothes such as custom printed t shirts bearing their logo, photographs of members, song lyrics, and other things that can be associated with the band. T shirts can both help the band’s promotion and increase their income. Band members can design their own band shirt or ask help from a professional graphic artist for better designs. Bands can share with their fans a bit of themselves by selling t shirts with certain designs. For example, bands can print lyrics of their hit songs and sell them on customized shirts. Putting individual photographs of band members in t shirts will surely generate a big amount of money especially if the band has a large fan base. Fans around the country and worldwide will surely try their best to purchase a t shirt with the faces of their idols in it. Another good example for promoting the band through t shirts is featuring the garments in a music video or a concert performance. Bands can also hold promos such as giving away free t shirts for the first 50 or 100 people who buys a ticket for their concert or a new album. The band’s popularity will surely generate the sales of their merchandising. Putting the t shirts on the band’s websites or facebook pages will also increase the demand of the shirt. With the band members modelling their own merchandise, their fans will surely do anything just to have a piece related to their idols. Selling custom printed t shirts doesn’t just establish the success and popularity of a certain band, but can also enhance their image. 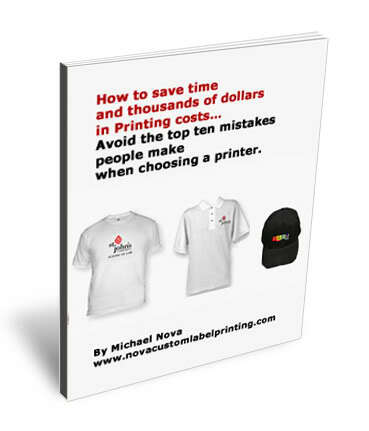 Customized shirts can also be a form of advertising. For example, if a fan buys a band shirt and wears it to a school or a social gathering, his friends who are also fans of the band will surely admire the shirt and want to buy their own. In this modern age when cd sales are affected by online downloads and pirated material, one of the best ways a band can make more money is through selling merchandise such as t shirts and other clothing pieces. Choosing the right customized shirts can also be important. Some bands may find that their fans prefer a brand of shirt, so picking the right brand of blanks can be important. Just as it is with schools and universities screen printing shirts, all factors need to be considered. Bands not only need to be creative with their music. They need to be innovative and creative in their graphic artwork as well. Artists need to use their imagination and artistic skills in order to keep offering new ideas to their fans. Selling customized t shirts will surely please die hard fans who will do anything to acquire a certain piece from their idols. Band members should always remember that in a fast changing world like the music industry, creativity is crucially needed in order to survive.